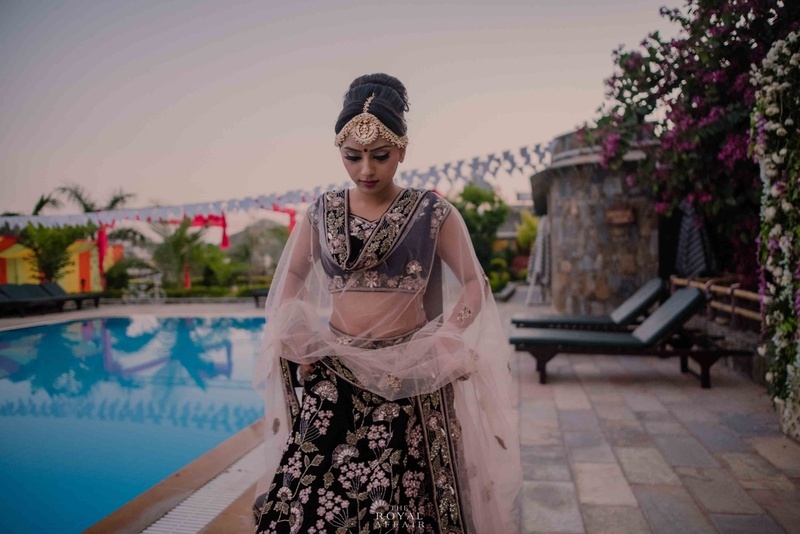 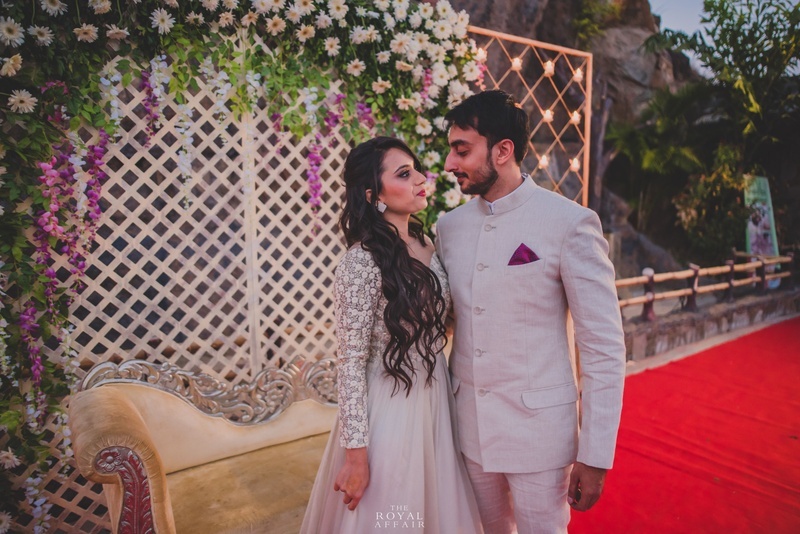 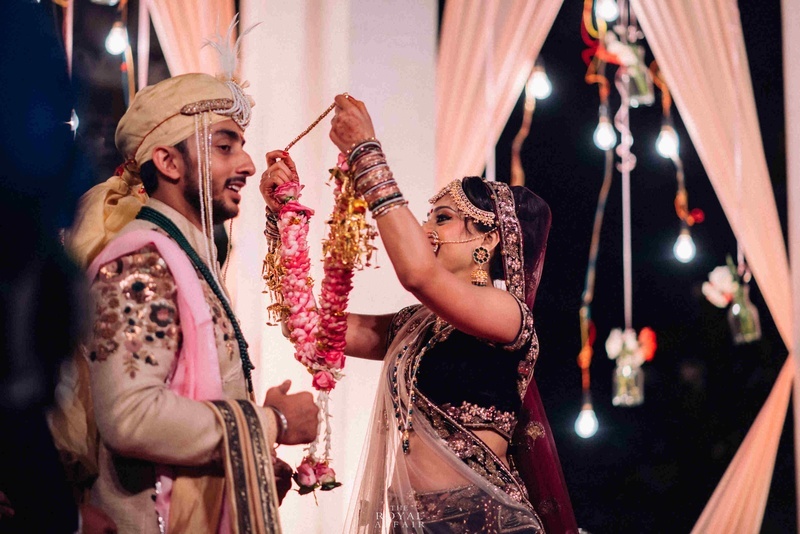 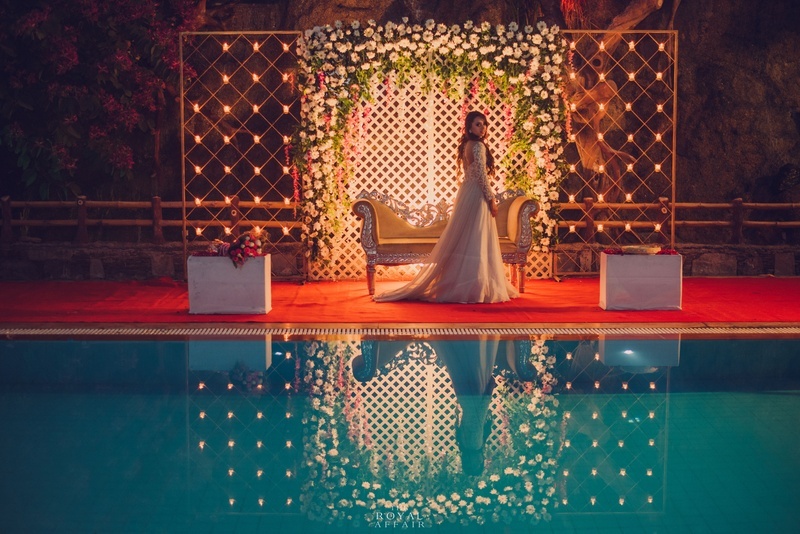 Quiry couple Deveshree and Viresh celerate their wedding at the Amargarh Palace in Udaipur. 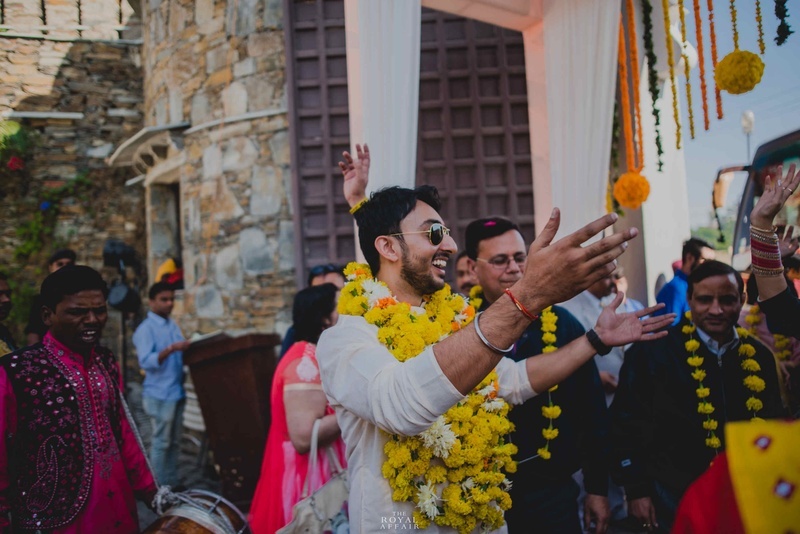 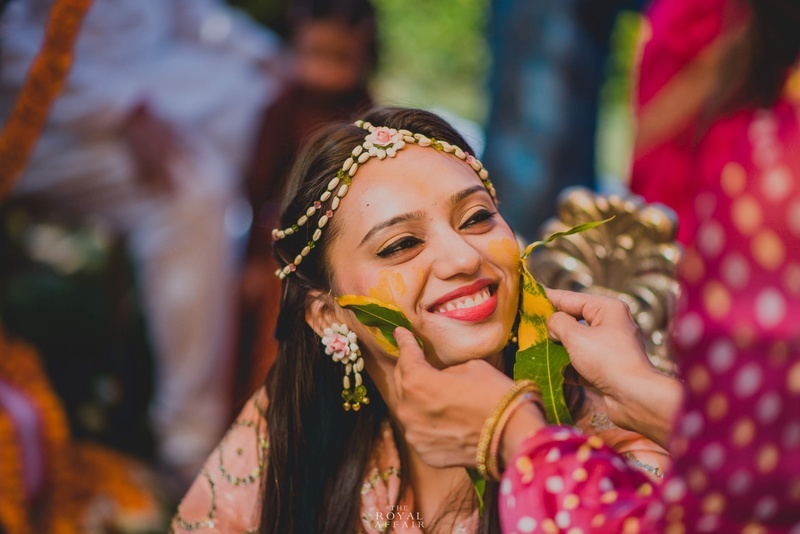 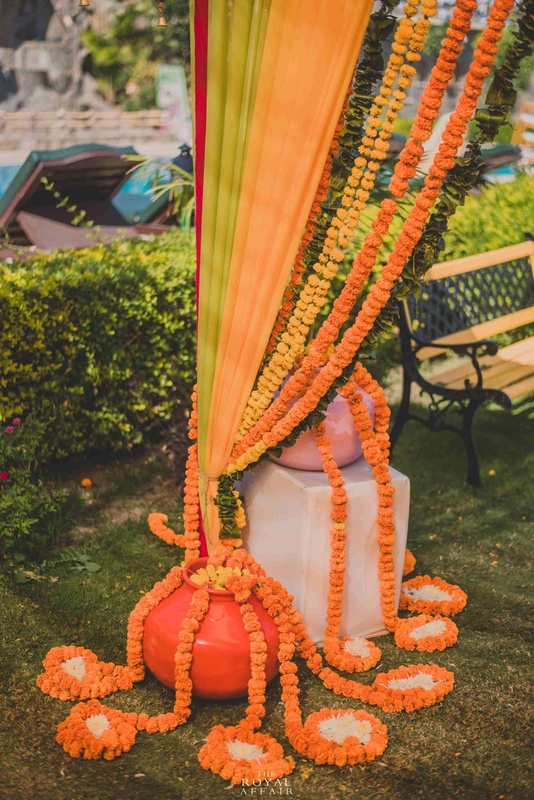 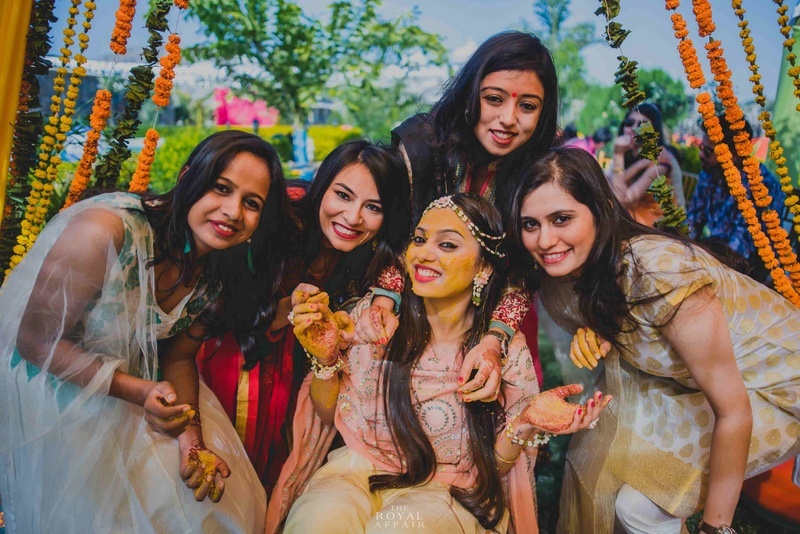 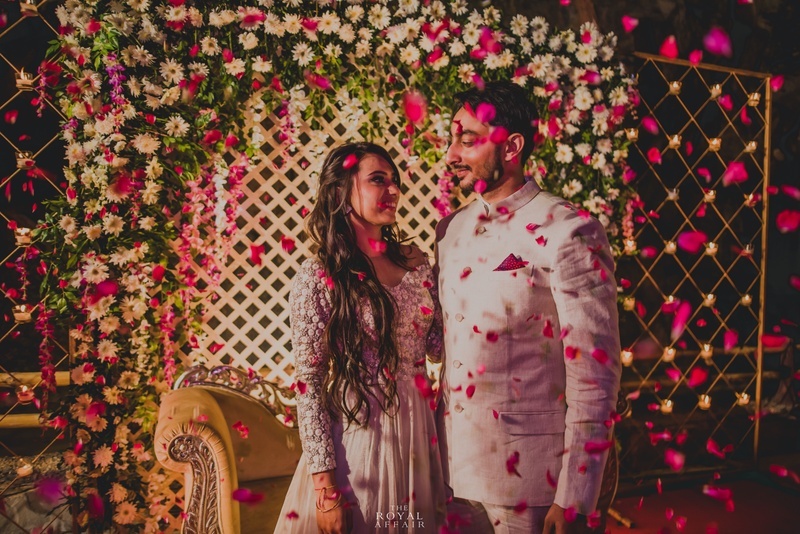 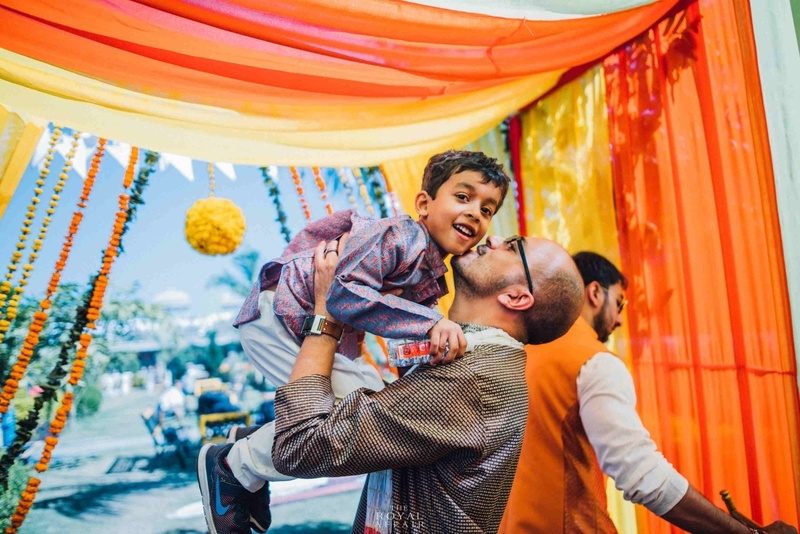 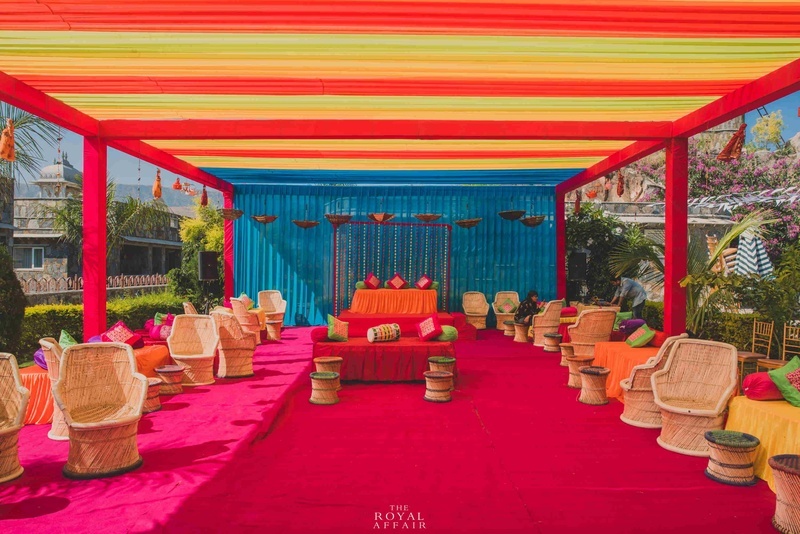 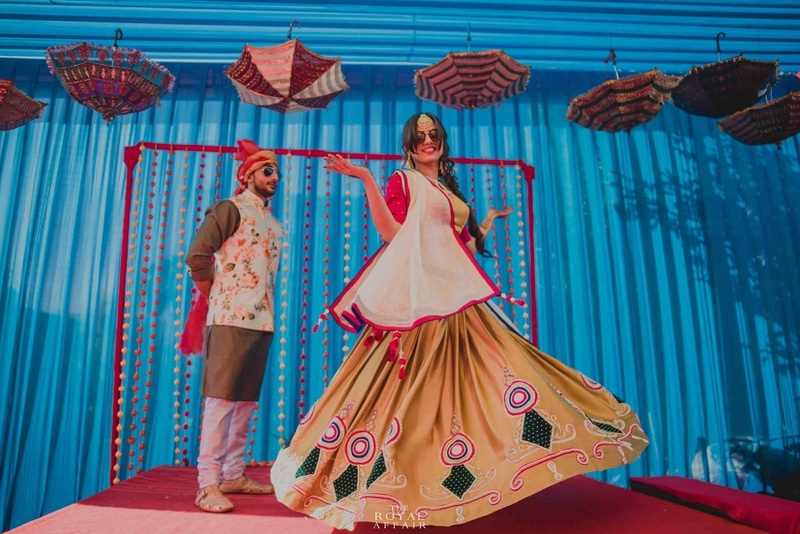 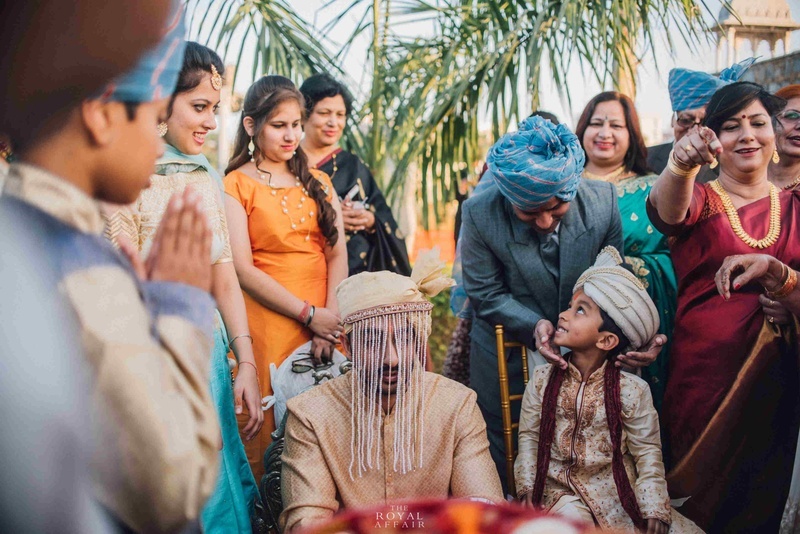 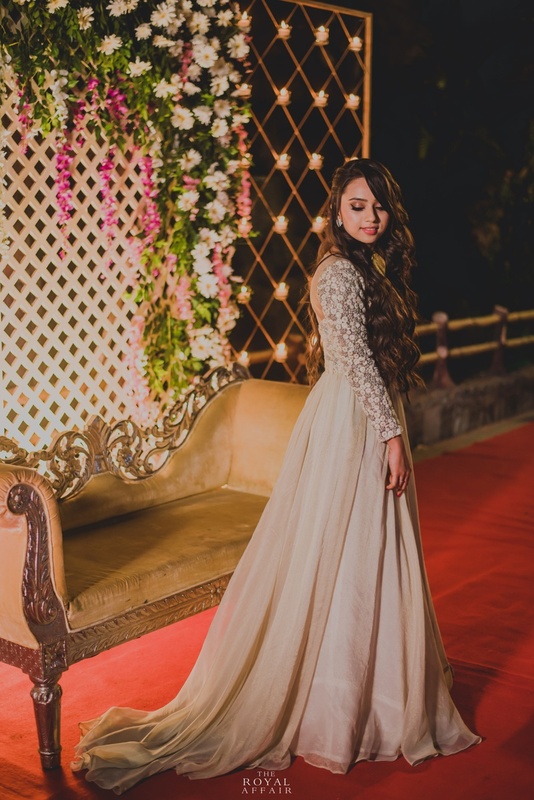 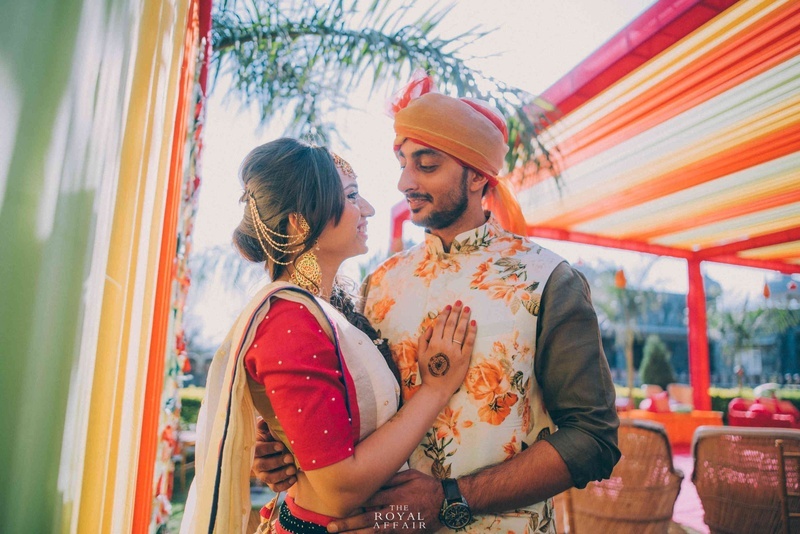 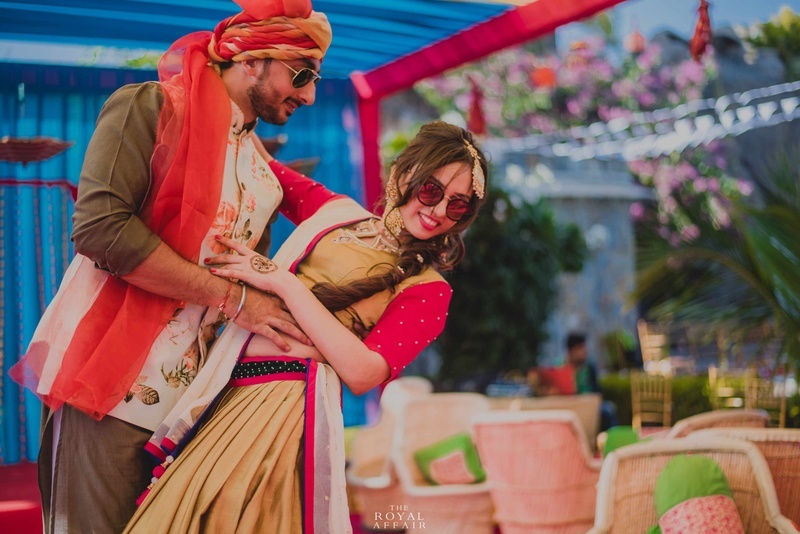 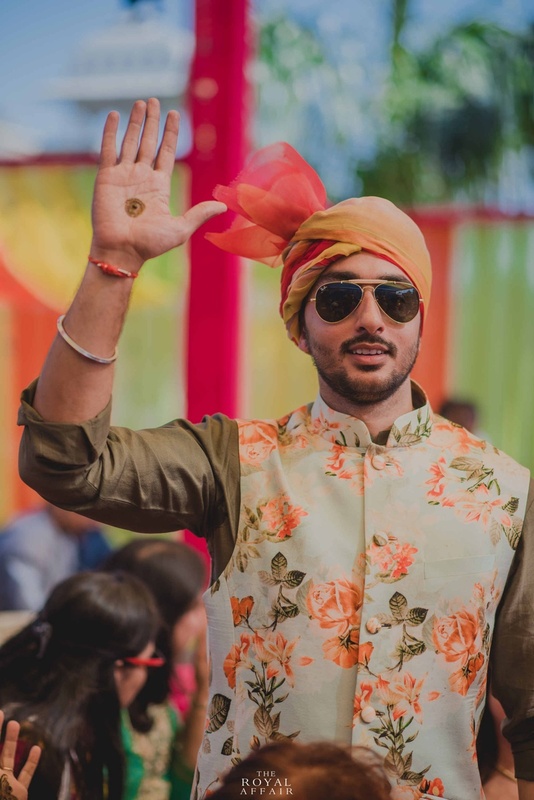 Colorful and fun are the themes that prevail the entire ceremony with solid, bold colors at the mehendi function and funny, candid shots at the Haldi by ace photographer The Royal Affair. 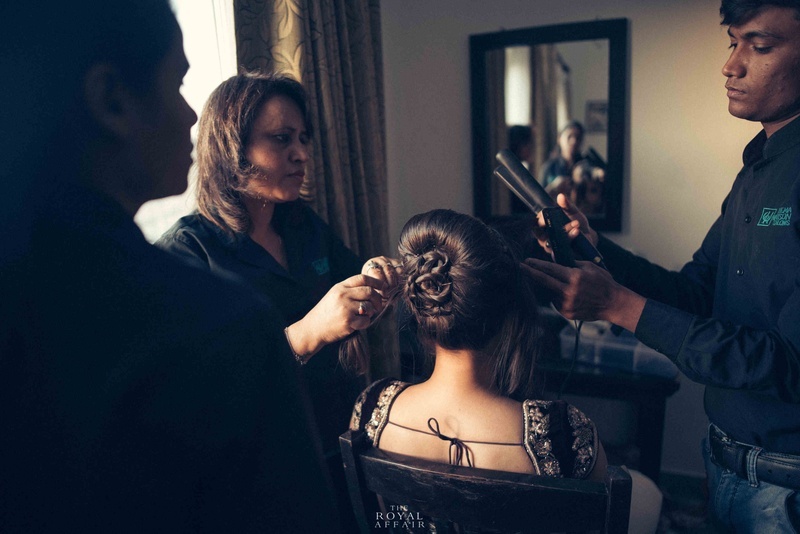 MUA Hema Watson Salon. 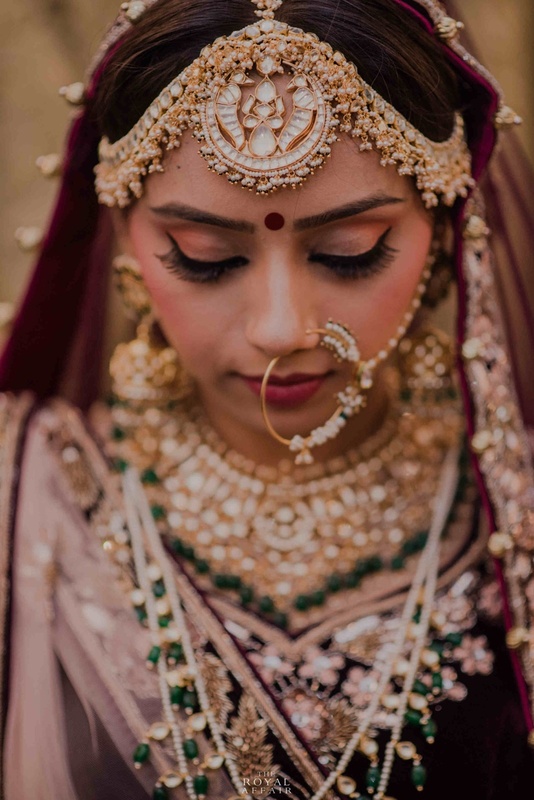 Jewellery by Mortantra. 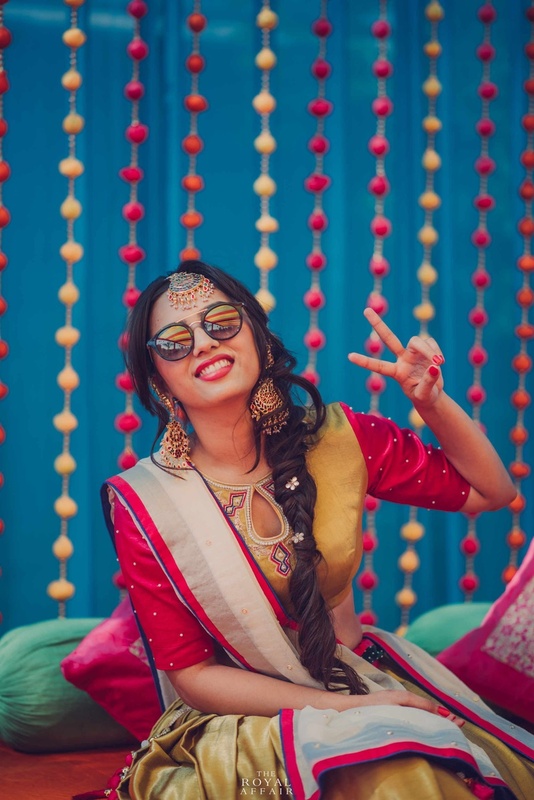 The cute bride with swag dripping from her fingers ! 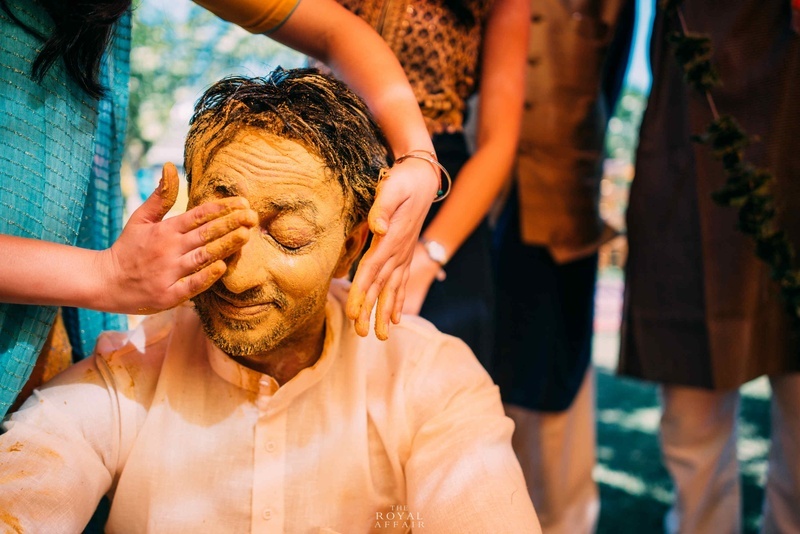 The groom gets henna'd ! 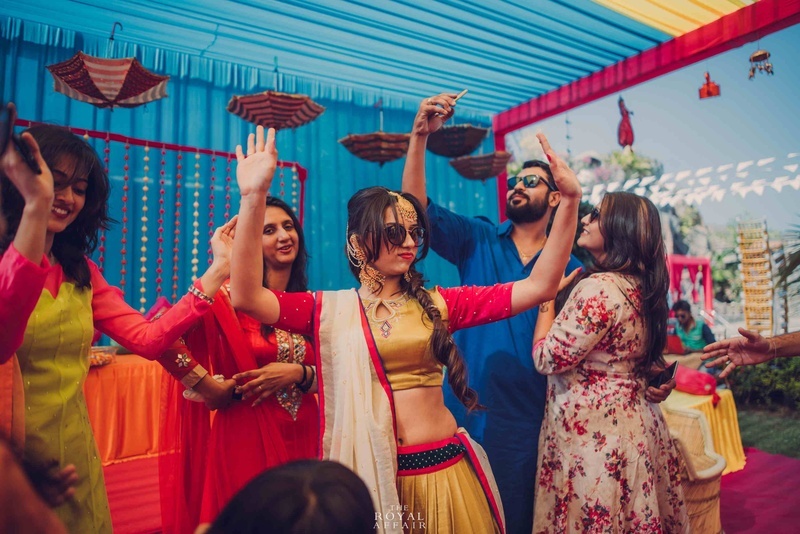 The happy groom dances his way into the haldi function! 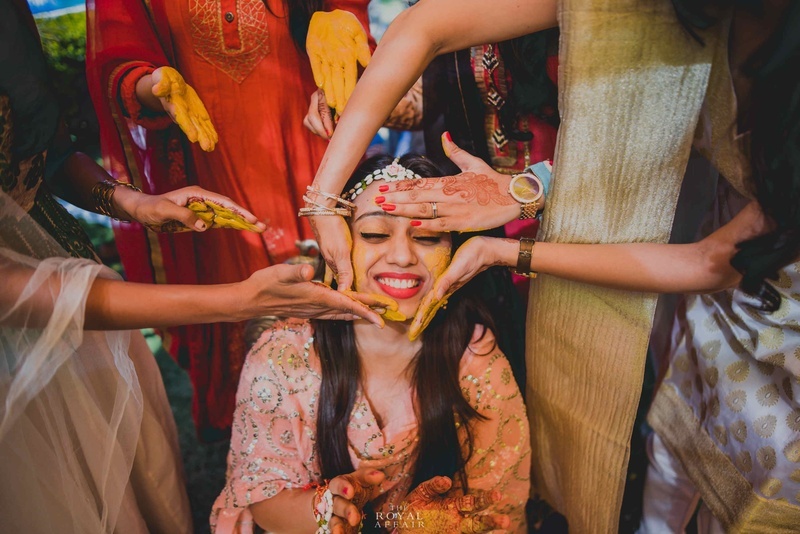 Ace photographer Chandani Dua catches this happy moment! 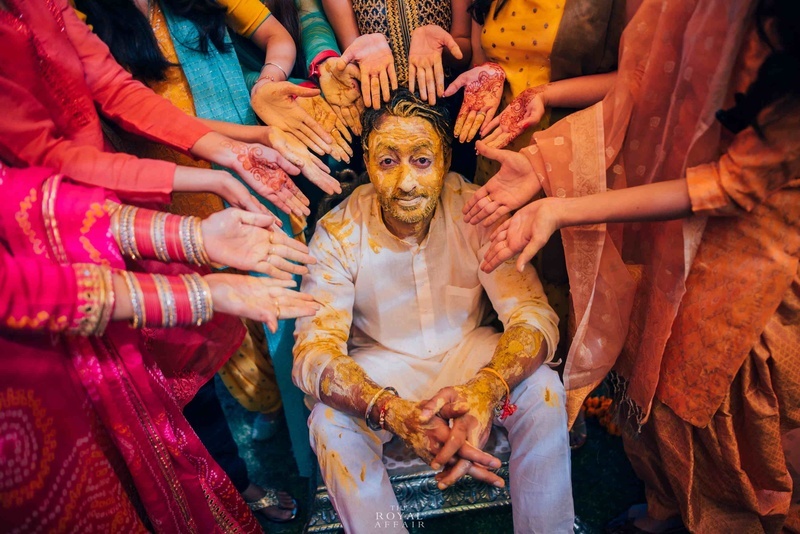 Haldi covered groom makes for excellent photos! 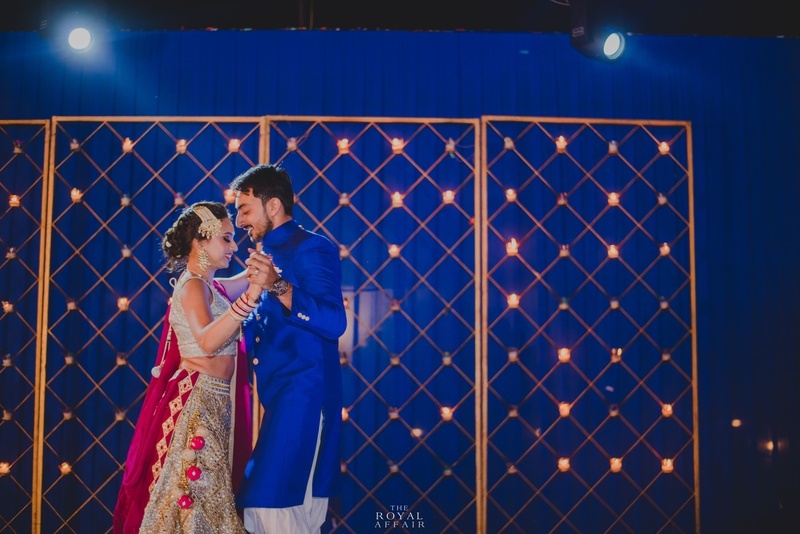 A couple that dances together, stays together ! 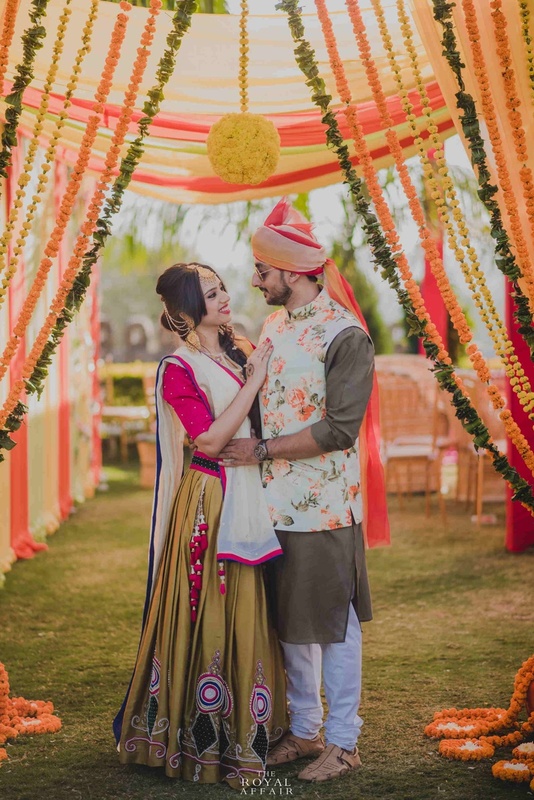 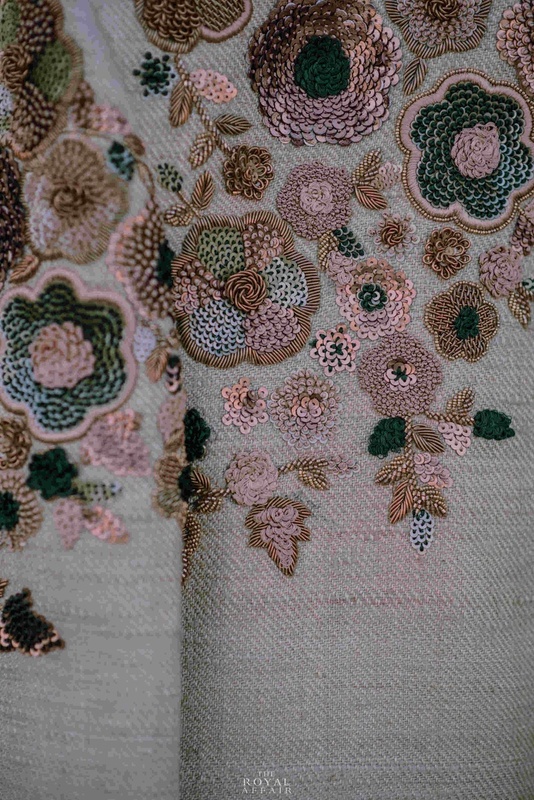 This gorgeous couple have flowers showered on them! 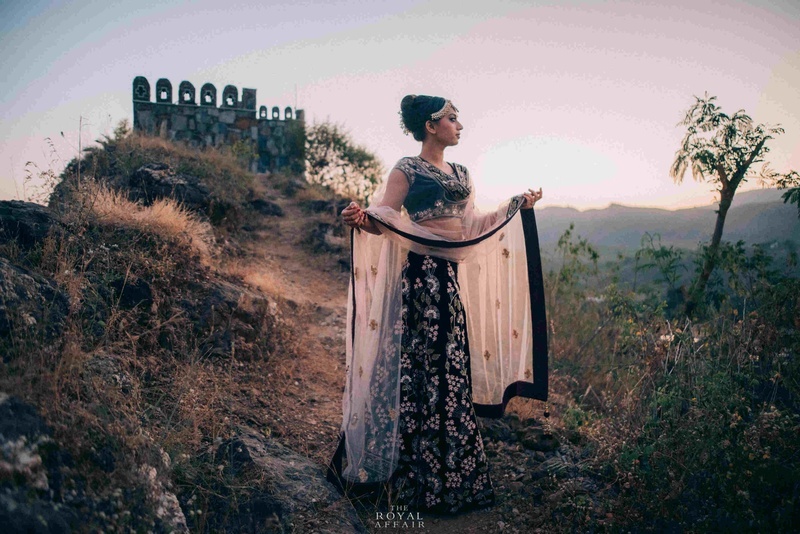 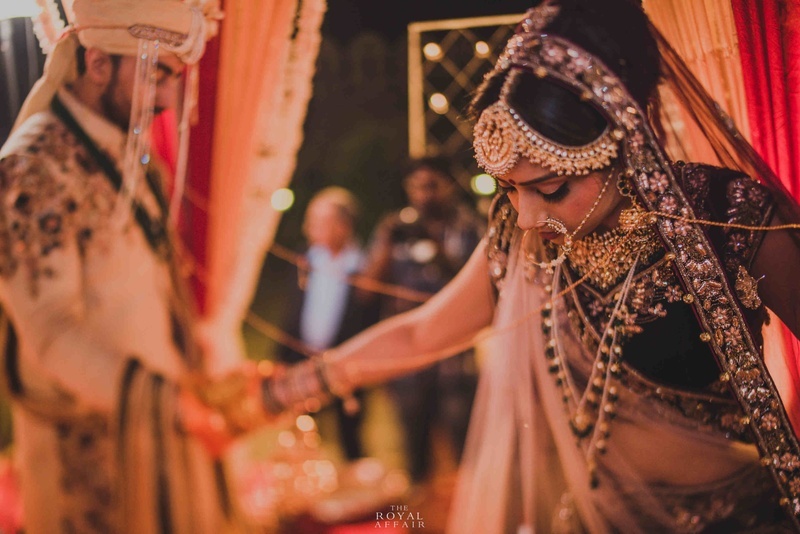 Traditional bride is her deep maroon lehenga looking absolutely royal! 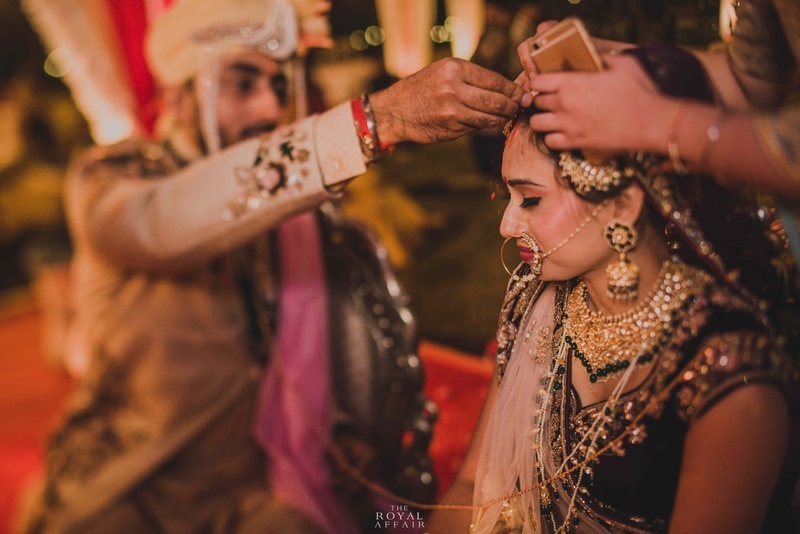 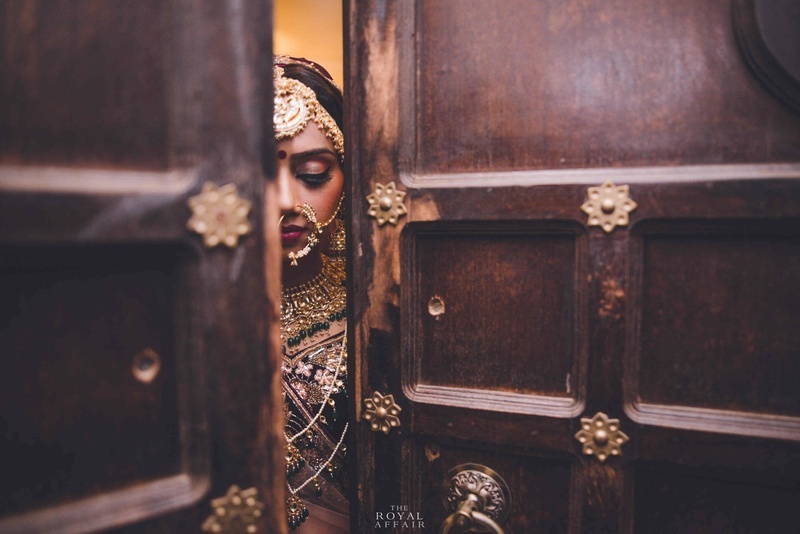 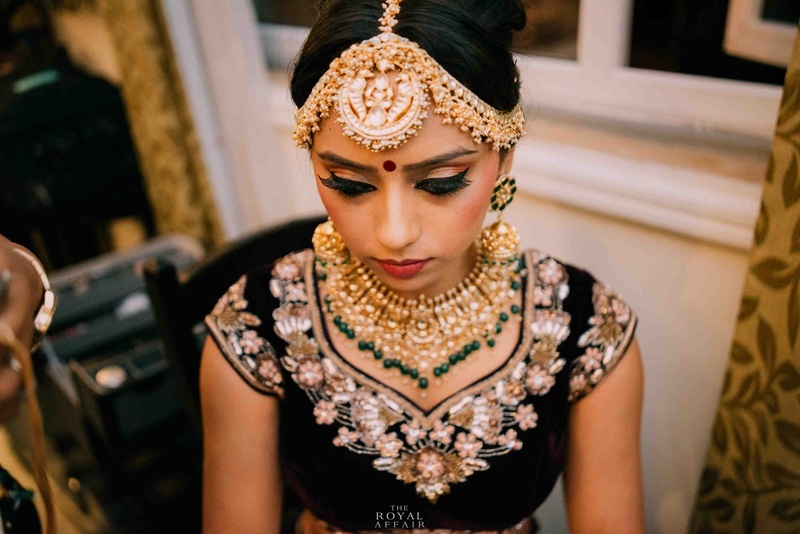 Jewellery by Mortantra adorns this beautiful bride! 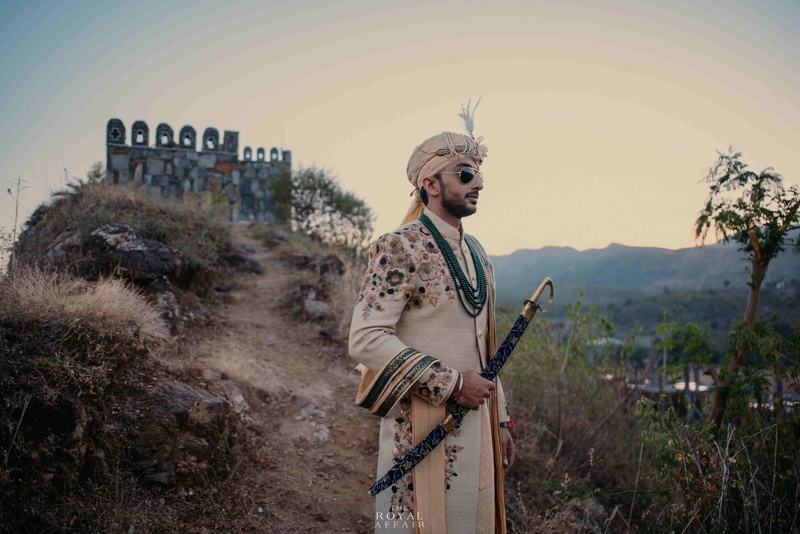 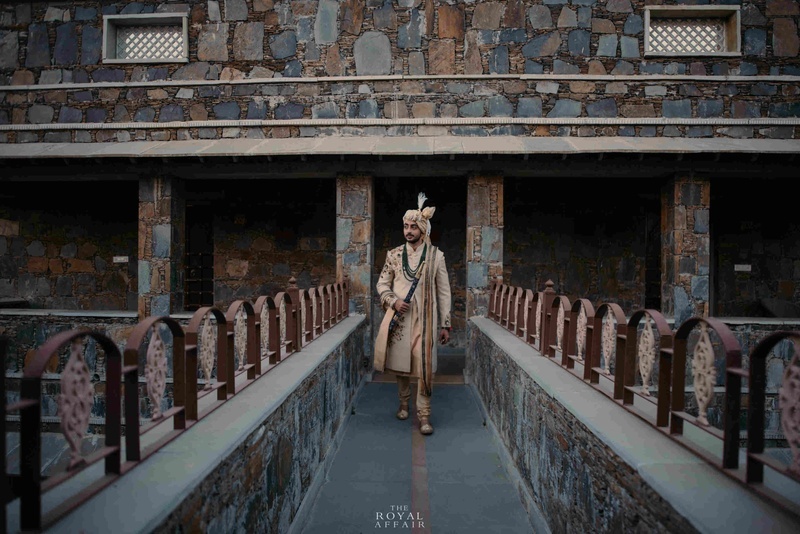 The royal groom in his traditional attire at Amargarh fort.